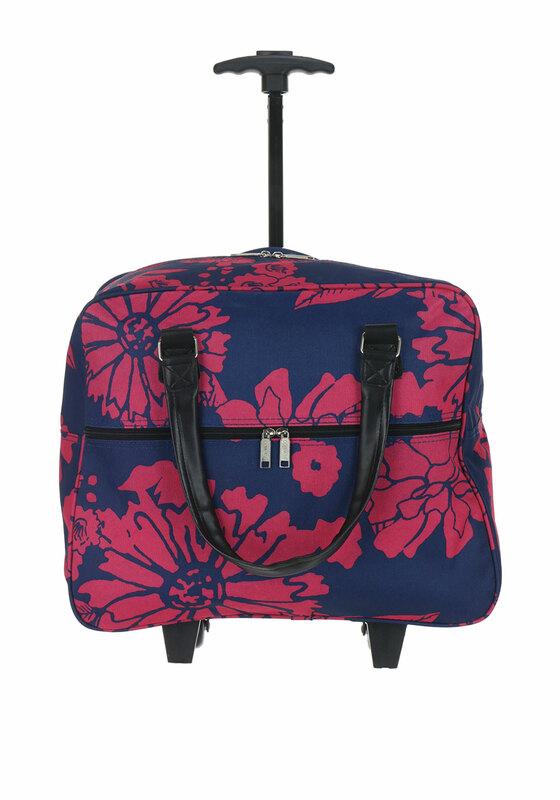 This pretty cabin size bag from Compass features a deep pink floral print throughout and would be a great choice for a weekend away at home or abroad. 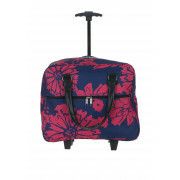 This pretty cabin size bag from Compass features a deep pink floral print throughout and would be a great choice for a weekend away at home or abroad. The 32 litre capacity wheeled case is made from ultra-lightweight water and stain resistant fabric and can be carried by the handles on pulled behind you using the telescopic handle. An external pocket is ideal for keeping important documents safe.